Gov. Jerry Brown’s job approval rating is at a record-high, Californians are feeling more positive about the direction of the state and while Proposition 13 remains popular, so too is the notion of a “split roll” – leaving residential property tax rates alone but taxing commercial properties at their market value. These are some of the findings of the latest statewide survey from the Public Policy Institute of California that reveals increasing optimism and readiness to engage a number of budget reforms that could put the state on an even firmer footing going forward. With Brown’s 48% job approval rating – his highest ever – and 44% of the population seeing California on the right track – the highest level since June 2007 – the governor and Legislature are well-positioned to take on important challenges. Top among them would be to modify Proposition 13 – long thought to be untouchable – to do only what it was supposed to do when it was sold by Howard Jarvis to the voters of California in 1978: protect homeowners from out-of-control property tax increases. By a 57-36% margin, voters responded positively when asked this question: Under Proposition 13, residential and commercial property taxes are both strictly limited. 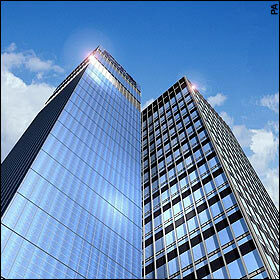 What do you think about having commercial properties taxed according to their current market value? Do you favor or oppose this proposal? Democrats favor the idea 66-26% and independents like the prospect 58-36%. Even Republicans are evenly divided 47-48%. Voters aged 18-34, who represent the future, favor the idea 65-28% but the idea is also popular among the most reliable voters, those 55 and older, by 56-39%. Splitting the tax roll is a popular idea in every region of the state, among men and women equally and especially among Asians (65-26%) and Latinos (58-36%) but also among whites (56-38%). In other words, there is a deep and wide mass base of support for modifying Proposition 13. Whether Gov. Brown – with his intense commitment to high-speed rail – has the stomach to take on Proposition 13 and other fiscal reforms is far from clear. But the PPIC survey suggests that after nearly a quarter of a century, voters are ready to modify the property tax measure that fundamentally altered politics in California. 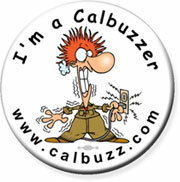 Shortly after winning approval of Proposition 30, his measure to raise taxes to protect schools from further cutbacks, Gov. Jerry Brown suggested to CNN’s Candy Crowley that the social contract underlying California’s vote was similar to the dynamic facing Congress as it considers President Obama’s call to raise taxes on income above $250,000. “Those who have been blessed the most, who have disproportionately extracted, by whatever skill, more and more from the national wealth, they’re going to have to share more of that,” Brown said. 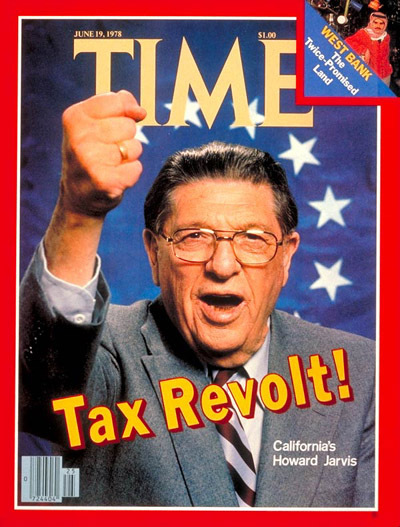 Coming as it did in California, the birthplace of the anti-tax movement with Proposition 13 in 1978, the 55% vote for Brown’s Proposition 30 — raising taxes by 1-4% on income over $250,000 — is especially noteworthy as a measure of voters’ increasing receptivity to certain kinds of tax increases. “The Republicans long ago concluded they needed to be against all tax hikes — that voters wouldn’t distinguish between those who had to pay the higher taxes and those who wouldn’t,” said Democratic consultant Bill Carrick of Los Angeles. “But voters do discriminate between taxes that affect lower-income and middle-class people and taxes on people who make $250,000 and more. That’s an alarming fact for the Republicans. They just can’t accept that,” Carrick said. Also, in Congress, said Democratic strategist Joe Trippi, while some of the Republicans have figured this out and are willing to compromise in theory, “They’re worried about getting tea-partied in a primary” if they vote for any tax increase – even one that would affect only the wealthiest 2%. Their reluctance is understandable, from a purely political standpoint. While the most recent ABC-Washington Post poll found that about 60% of the population supports higher taxes on higher incomes, support breaks sharply on partisan lines. Among Democrats, 73% support such tax hikes and among independents, it’s 63%. But Republicans – those whom GOP Congress members are worried about – 59% oppose tax hikes – even on just the rich. But as Brown noted in his interview with Crowley, times are changing. 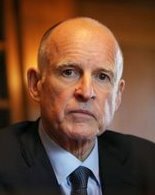 In other words, because of Jerry Brown’s political skill, California – home of the anti-tax movement in America – has signaled that tax increases, carefully crafted and aimed – are not necessarily the third rail of politics, as Republicans in the post-Ronald Reagan Era have so wholly assumed. Gov. Brown deserves enormous credit for taking on this fight – no mean feat given that he was opposed by the Howard Jarvis Amen Chorus on the right and the dilettante millionaire activist Molly Munger on the left. As Carrick observed, there are two parts to the formula that Obama and the Democrats in Washington should understand: 1) Making clear that the burden of the high tax rates will fall only on wealthy people who can and ought to afford it and 2) Describing in clear detail what’s being protected from cuts by increasing taxes on the 2%.